At last, the travel industry is figuring it out – we women have a voice and we like it to be heard. Thank you very much. We don’t think like men, we don’t dress like men, and we certainly don’t travel like men. So, today’s “Brava” goes to American Airlines for launching a section dedicated to Women Travel. In the New York Times article written by Joe Sharkey, he interviews a few women who have plenty to say on this matter. 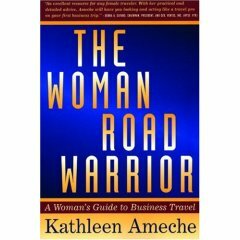 One of the women he interviewed was Kathleen Ameche, who wrote the book: The Woman Road Warrior: A Woman’s Guide to Business Travel. She speaks about the power of women and our ability to share information with others very quickly, “We do take notes and we talk, and we do make most of the buying decisions in business and personal travel.” Yeah, we make 92% of all travel buying decisions in the USA! So, why is it taking the travel industry so long to get it? I really don’t know the answer, but I am glad that they are starting to figure out how powerful women are. Other companies that are doing a great job taking care of women are the Wyndham Hotels and Pink Ladies in London. Pink Ladies is a charming transportation service providing ladies-only car service. One of their cornerstone policies is the “Through the door policy.” Their drivers will wait to ensure that women travelers are safely inside their destination before leaving. Now that is what I call service!